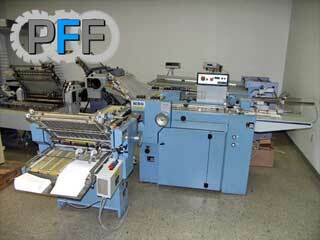 Parts For Folders LLC - Used Equipment! Please contact us with any questions you may have regarding the equipment we sell. If you are looking for something in particular and cannot see it here let us find it for you. All equipment listed on this page is subject to change without notification. Prices shown are in USD and does not include freight and/or installation unless otherwise noted. Description: 1996 MBO B20P 4/4 pile feed with 8 page unit and hang-on delivery. Price: $13,500.00. Contact us for more information. Description: 1994 MBO B16P 4/4 pile feed with 8 page unit and stacker. MBO SBA-P46ME Vertical Pressing Stacker. Description: MBO SBA-P46ME Vertical Pressing Stacker. Fully reconditioned. Price is F.O.B. Fullerton, CA. Interested in this? Let us find you another. 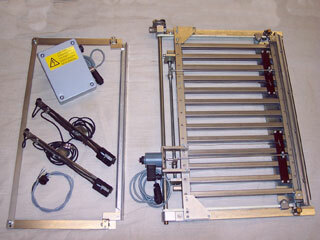 MBO B26 Double Gate Fold Plate. 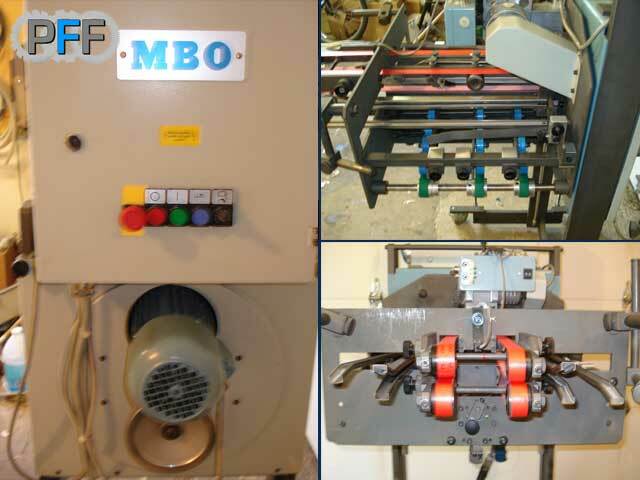 Description: MBO B26 double gate fold plate, reconditioned. Complete. 30 day warranty. H+H 30" 10 plate 2nd unit. Description: H+H 30" 10 plate 2nd unit. 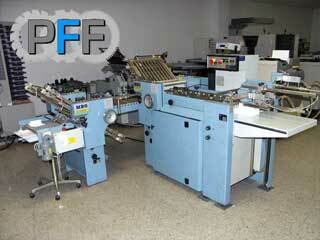 2005 MBO IFF-21 folder w/ A56 delivery. Description: 2005 MBO IFF-21 folder w/ A56 delivery. Use straight from press or sheeter. 90 day warranty. Price: $19,750.00. Contact us for more information. 2005 MBO X-Knife unit . Description: 2005 MBO X-Knife unit. can be used after parallel or after 8-page unit. Self drive. 90 day warranty. Price: $10,000.00. Contact us for more information. 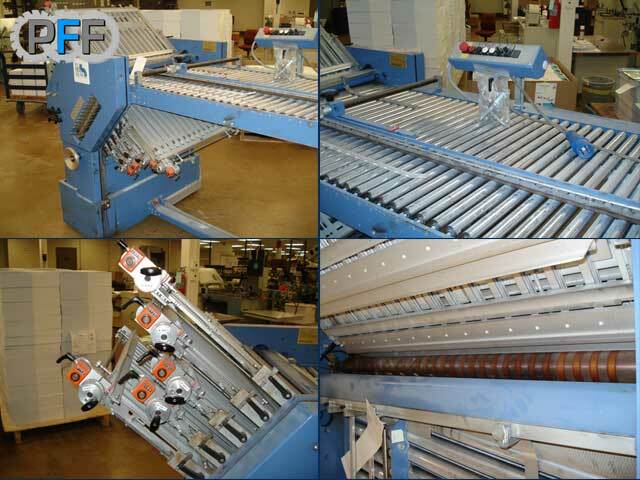 1998 MBO Z2 Knife Unit.. Description: 1998 MBO Z2 knife unit.18 pin electrical connector. Price includes 30 day parts warranty, skidded, covered and ready to ship. Does not include freight costs..
Hohner Model 48/5 S stitcher head. 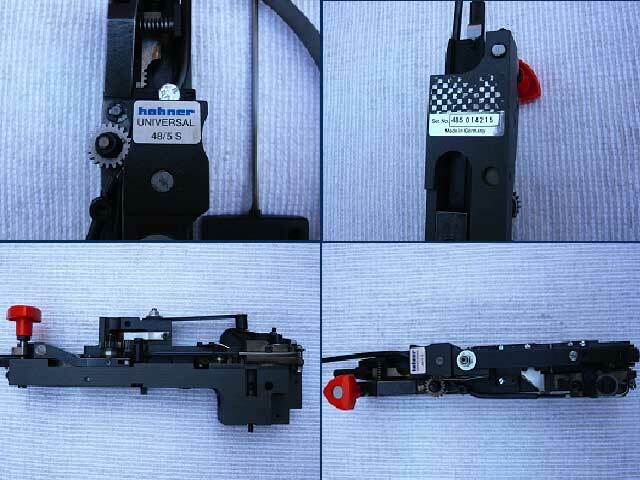 Description: Hohner Model 48/5 S stitcher head. Please contact us for price and more info..
All equipment listed on this page is subject to change without notification. Prices shown are in USD and does not include freight and/or installation unless otherwise noted.